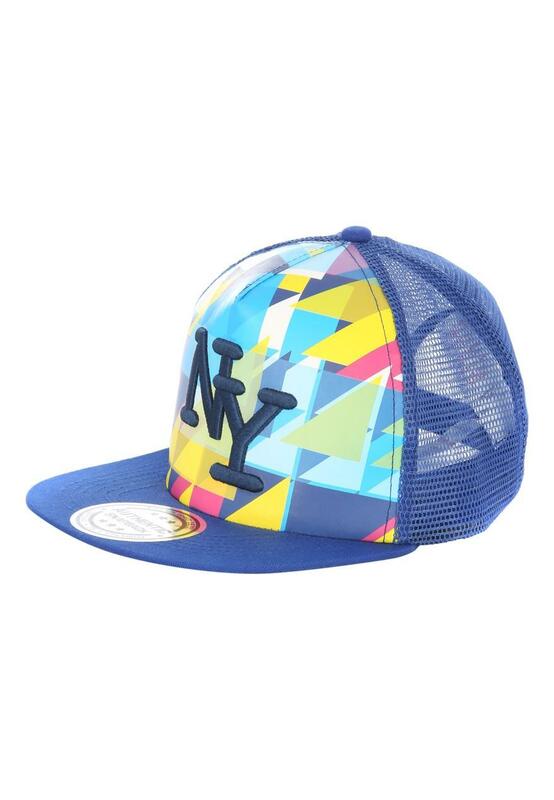 Trendy older boys will love this mid blue geo NY snapback, featuring a colourful panel on the front and a plain peak. I bought this for my grandson for when he goes on holiday. 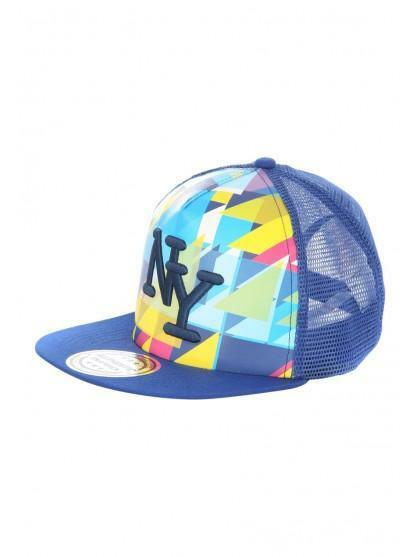 A good buy.